Deck supervisors will set up, run activities, and clean up so you can enjoy your child's birthday. 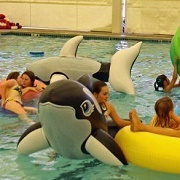 A variety of age-appropriate games are available in the pool for kids, aged 1 and older. Party invitations are available upon request. Your kid's birthday is sure to be a hit at the "purple museum". Party packages include museum admission for up to 18 guests, party room rental, invitations, and more. 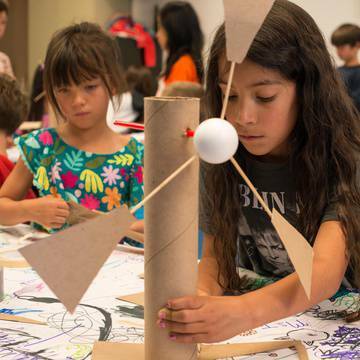 Optional add-ons include science activities, art activities, and gift bags. 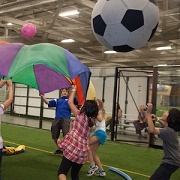 LOL Parties at Silver Creek Sportsplex combine the best of all worlds: organized games or free play on state-of-the-art indoor turf fields; jumping on giant, custom-designed inflatables; private party rooms; superb food; and party coaches who provide an interactive experience that ensures everyone has fun! 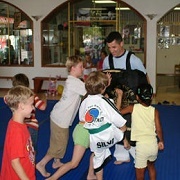 Let Silva Martial Arts add a kick to your next birthday party! In addition to fun and excitement, your child and guests will experience some of the important aspects of the martial arts including confidence, respect, self control, and fitness. It's not all martial arts though--ask about Nerf guns and dodgeball! 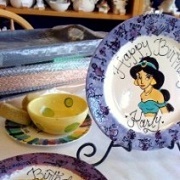 Come celebrate your next party at a Young At Art Studio, or at your home! 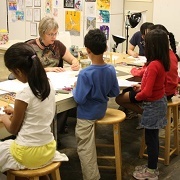 Several art mediums are available, from acrylic paints or watercolor to drawing, or ceramics. Parties are least two hours long. Color Me Mine is a fun, relaxing, and unique way celebrate a birthday, either at the San Jose studio, at your own home with their party TO GO kit. Their studio has a private party room with music that accommodates 14 people. Pottery projects are fired after the class, and will be ready to pick up 5 days after the event. Price Range: $23-$30 per child. 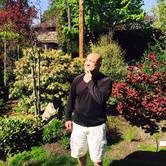 HHPZ offers a natural and whimsical escape for your special gatherings. 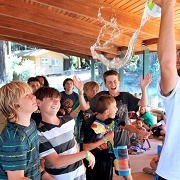 From themed areas nestled in the bamboo forest by Danny the Dragon, to right in the middle of the action by the Redwood Lookout play area, Happy Hollow offers eight diverse outdoor party areas to celebrate your child's special day. Parties at The Tech can be booked on Saturdays and Sundays. 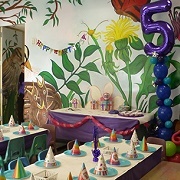 Basic party packages include the private party room rental, and museum admission for up to 25 guests. 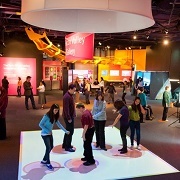 IMAX and Lab party packages are also available for added excitement and activities. 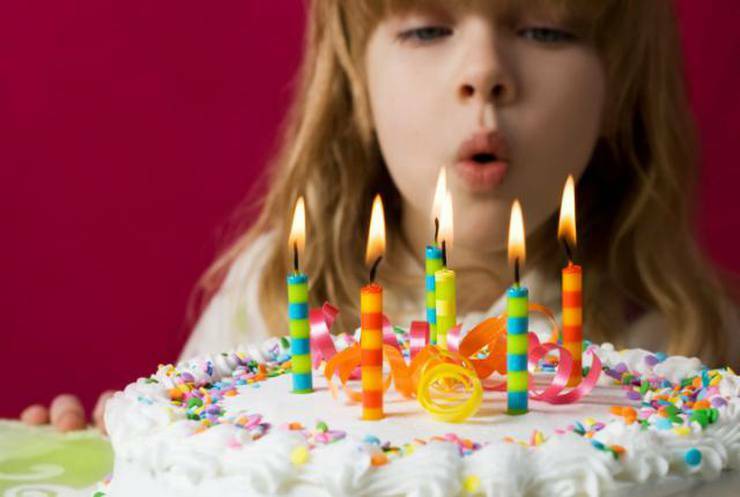 Ask about facility rentals and birthday options at any one of the 12 YMCA locations in the Silicon Valley. Prices vary based on activities and facilities. 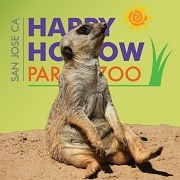 The best of San Jose, straight to your inbox.